Motorola is now busy working on the Moto Z4 Play, which is set to succeed the Moto Z3 Play smartphone. However, its alleged key specs and renders have already appeared online, suggesting that it will be launched soon. 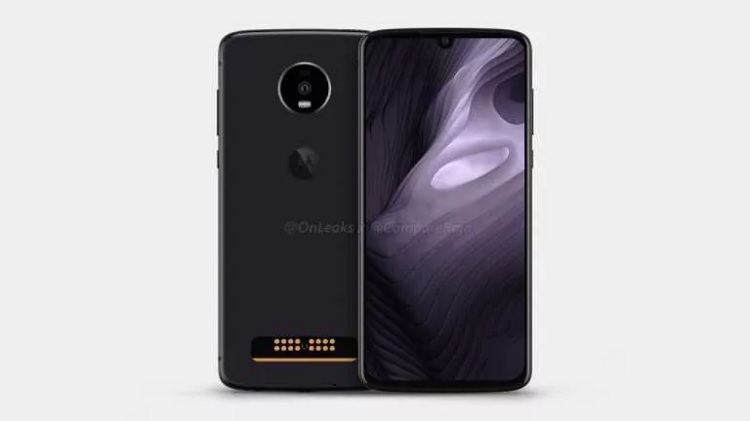 Images of the alleged Moto Z4 Play are circulating online, revealing that the device will have an almost bezel-less screen mounted with a U-shaped notch. Rumors suggest that it will sport a 6.22-inch Super AMOLED panel, and an in-display fingerprint scanner. Similar to its predecessors, the device still features magnetic pins on its back, allowing users to attach Moto Mods. Under the hood, the handset might be powered by Qualcomm’s 11nm Snapdragon 675 chipset. The device is said to be available with 4GB/6GB model, and a more powerful 64GB/128GB variant. It could be packed with a 3600mAh battery, too. Moving on to its photography department, the Moto Z4 Play is expected to bag a 48-megapixel main sensor, and a 16-megapixel selfie snapper. The Moto Z4 Play is expected to launch in the first half of 2019, and might sell for Rs. 34,990 (~Php25.6K).